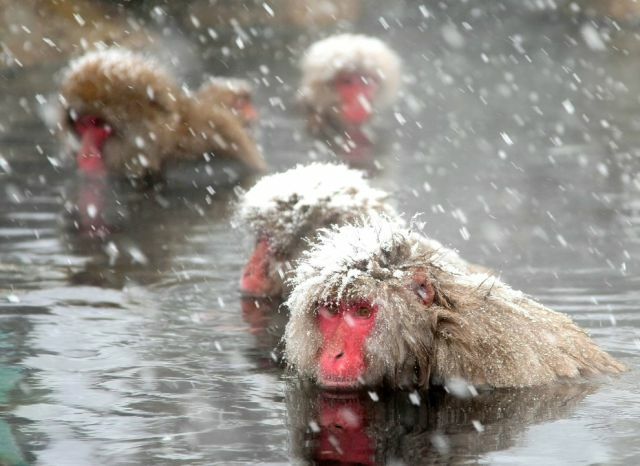 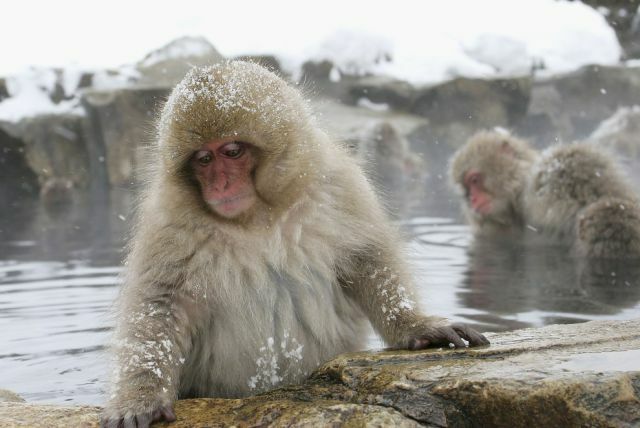 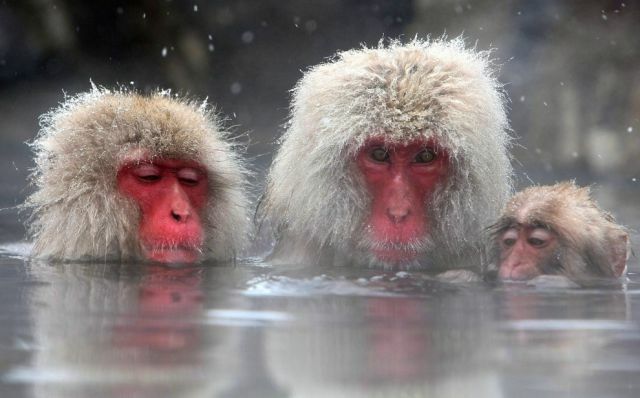 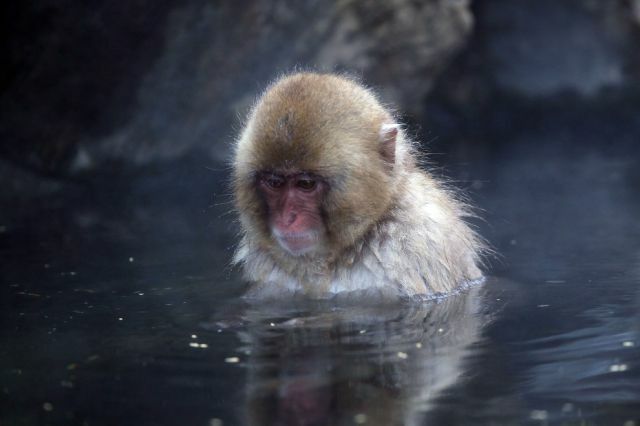 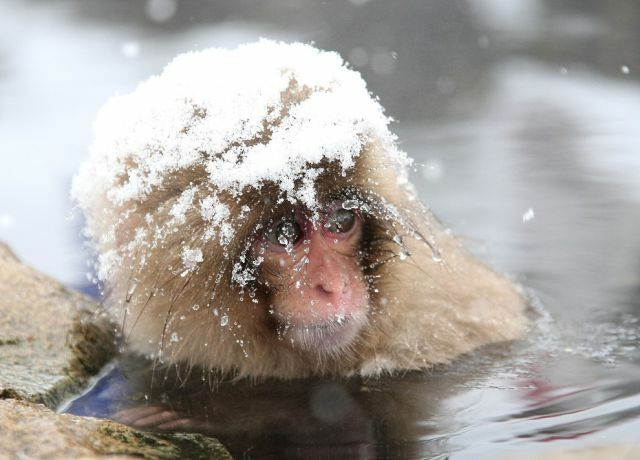 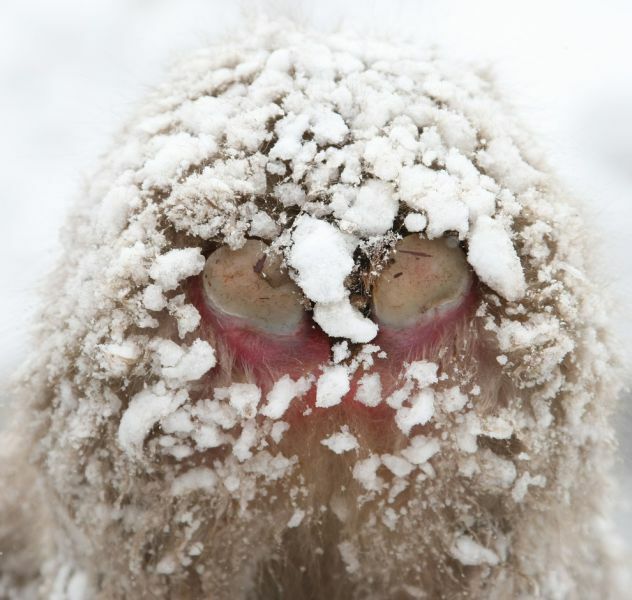 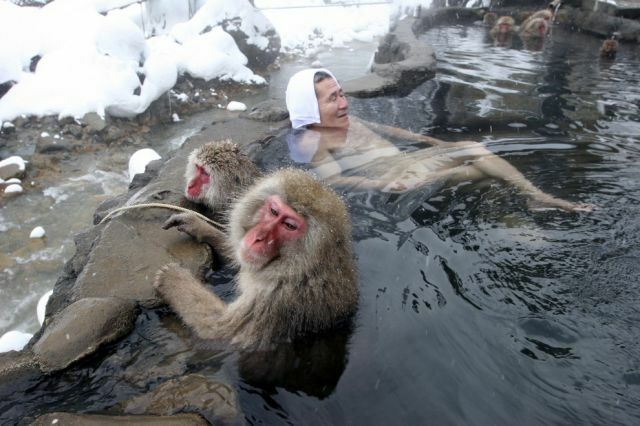 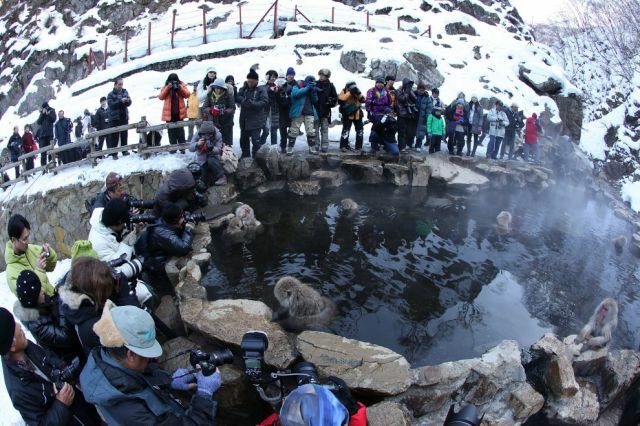 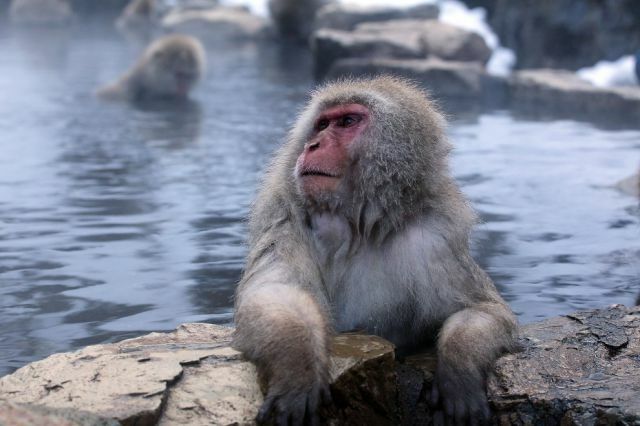 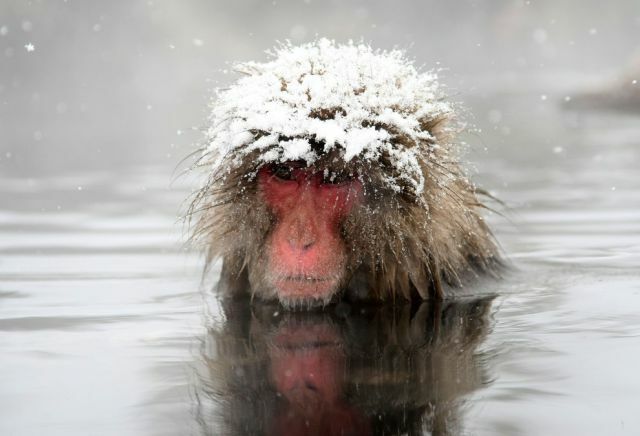 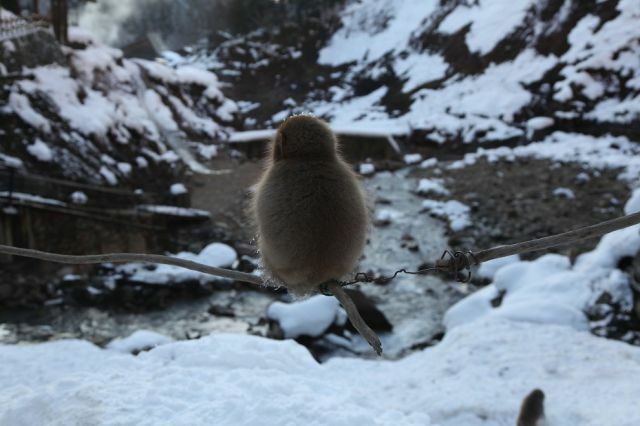 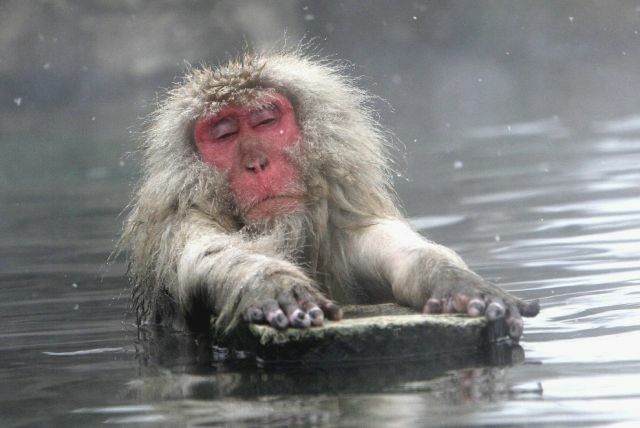 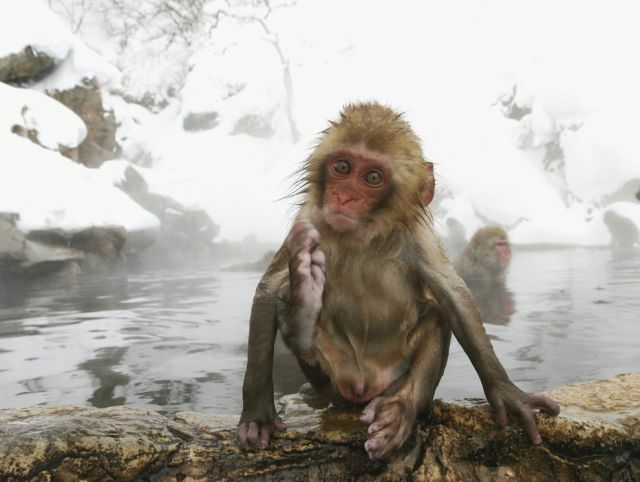 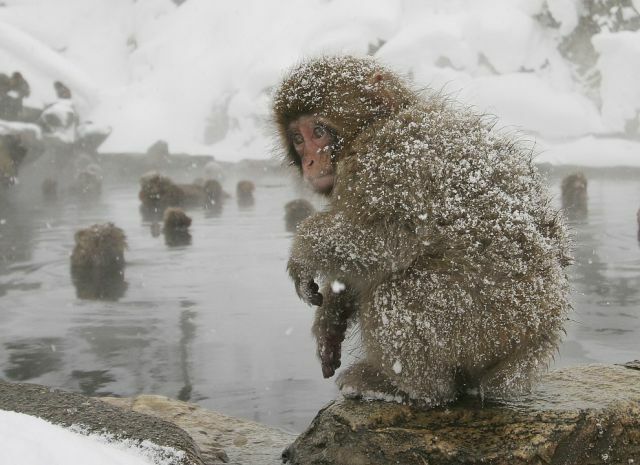 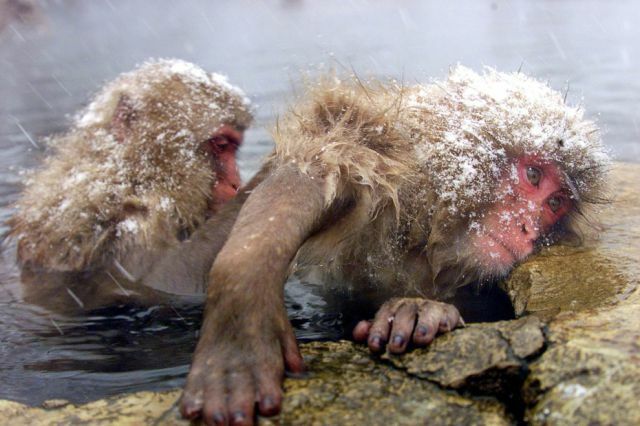 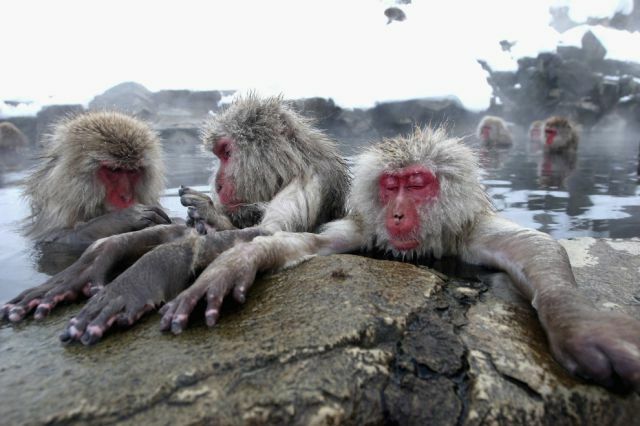 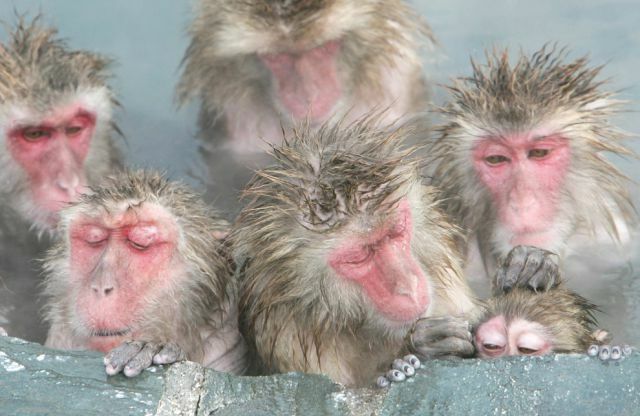 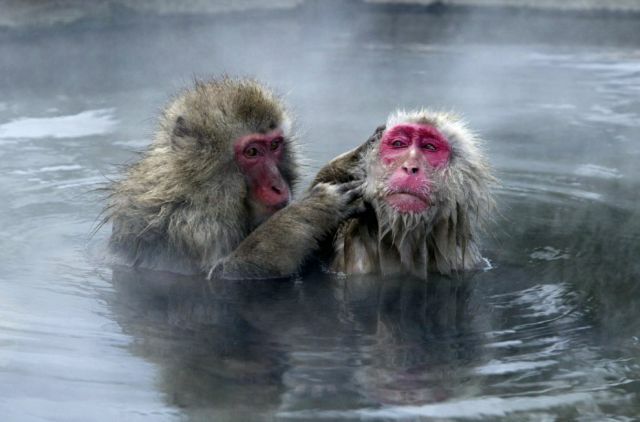 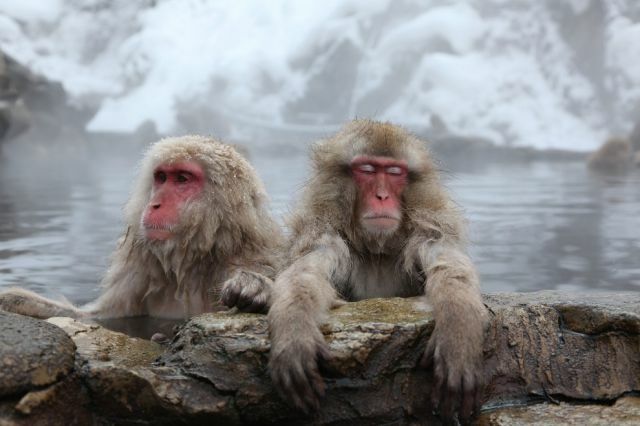 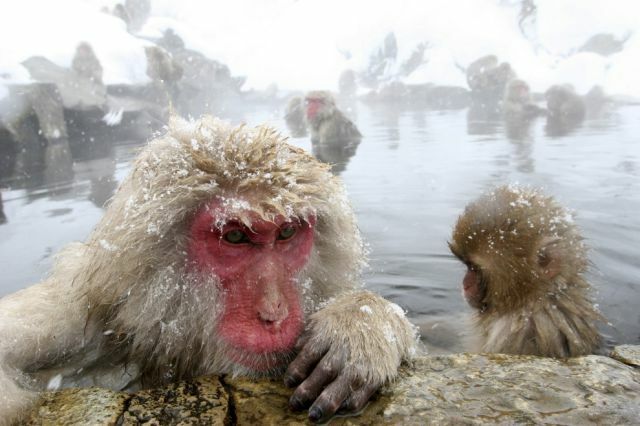 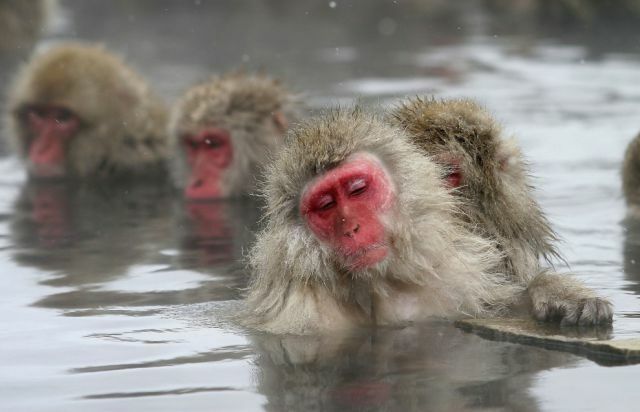 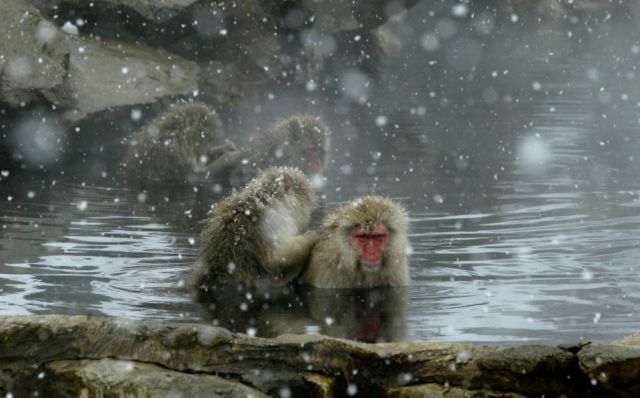 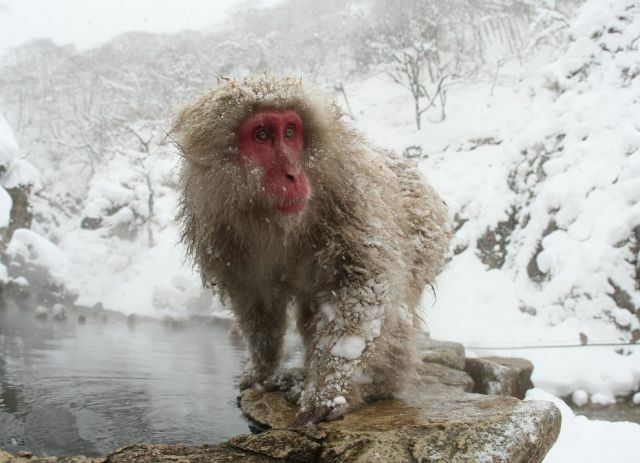 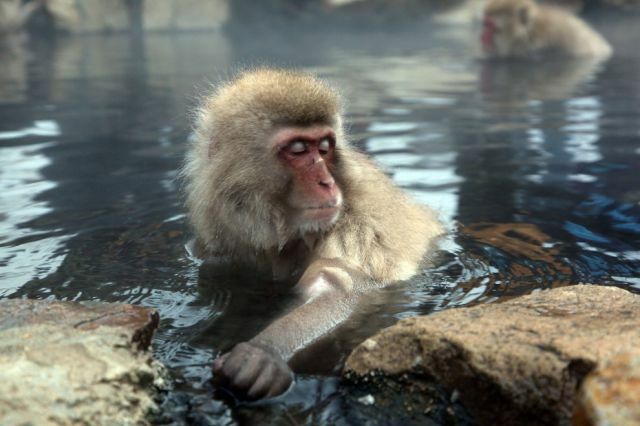 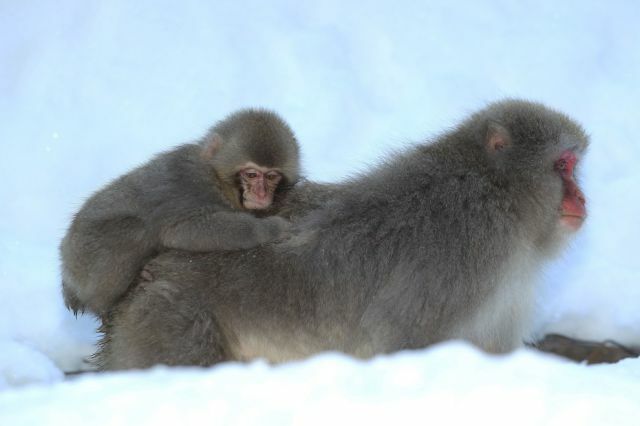 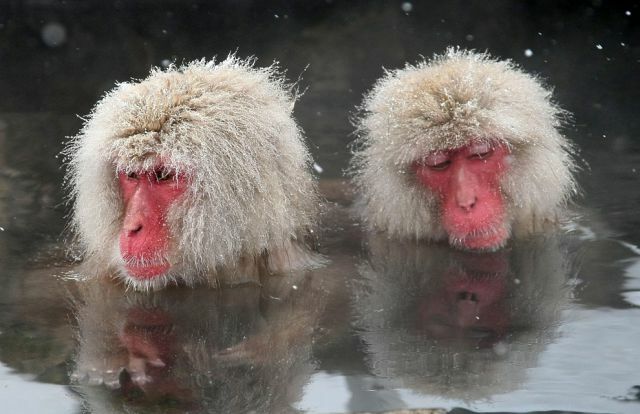 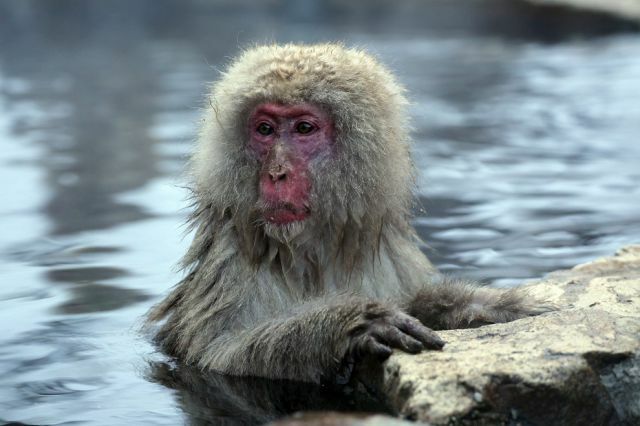 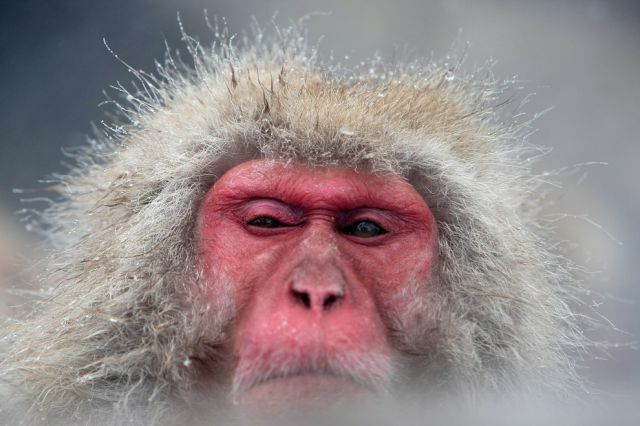 These macaques are taking a nice hot bath in the warm spring waters that are flowing in Japan. 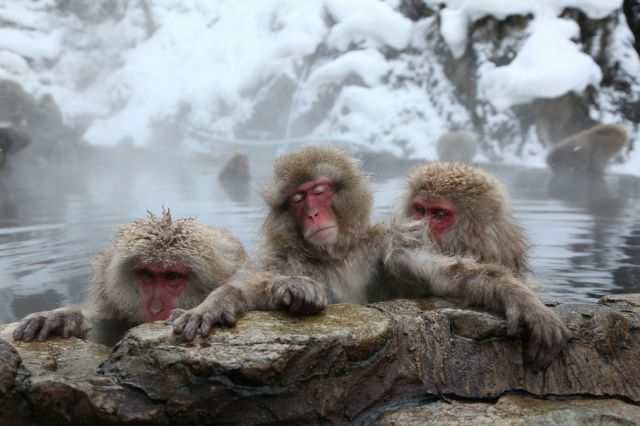 They have been coming here to relax and keep warm since 1963. 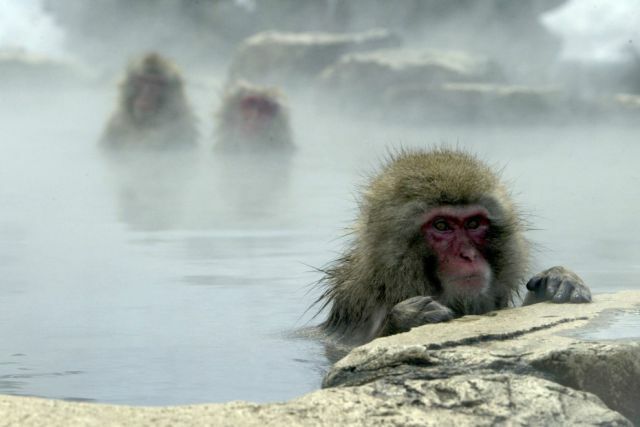 These spring waters flow from Yakushimie, Shikoku, Kyushu, and Honshu. 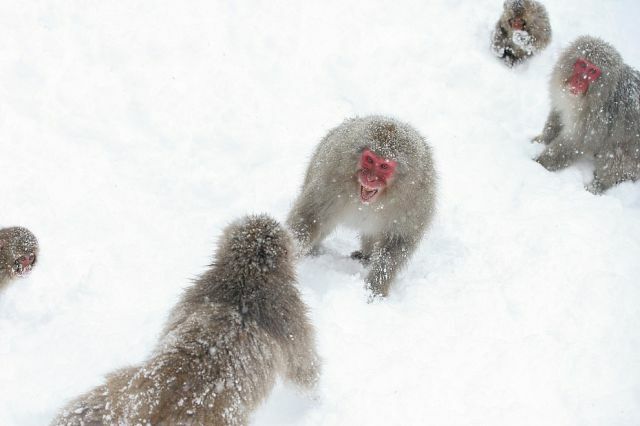 what the hell is in the last picture ? 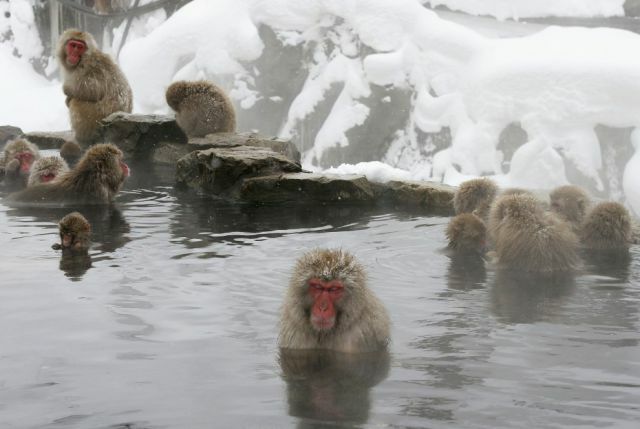 well, no-one is allowed to pee in the pool!